One decision that several homeowners have to make while constructing their new house or while renovating their address, is whether to opt for wood, aluminum or uPVC windows and doors. uPVC or Un-plasticized Polyvinyl Chloride windows and doors have gained popularity in recent years and are being widely used in houses. These uPVC profiles make a great value addition to any home and installing them can enhance the functionality and overall usability of the house. Modern advances lead to several more texture and color choices in UPVC. Despite this, uPVC windows and doors still lack behind wooden or aluminum doors when it comes to picking and choosing colors and customization options. To overcome this problem, uPVC profile manufacturer like Window magic offers customized products to customers through its wide range of colors and textures. Being one of the best uPVC windows and doors dealers in India, Window Magic provides a wide array of uPVC profiles including uPVC tilt and turn windows at a reasonable price. We involve a team of experts who holds vast experience in uPVC industry and believes in establishing customers’ satisfaction and success across the world. The company delivers uPVC profiles with the help of advanced manufacturing technology to meet the high standard quality. Aspirants get matchless benefits plus the collection also involves coated profiles with base color and matching shades. 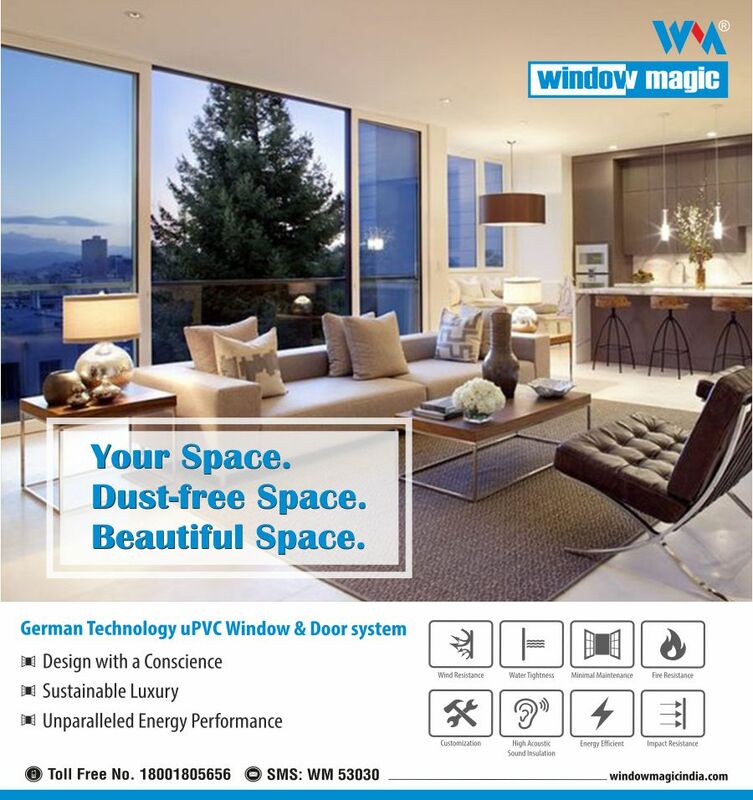 The company has done copious installations of windows and doors where the experience of our customer in adopting Window Magic’s service is excellent with no complaints. So, opt for best uPVC manufacturer in Gurgaon – Window Magic to give yo house a new and striking appearance.